Best Kitchener Movers have been operating in moving business for almost a decade. Our moving company is among leaders and we certainly are proud about this. 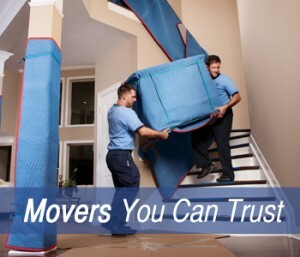 Our Kitchener Movers provides full range of moving services of any kind. Over the years, we have successfully completed more than 25,000 moves of varying complexity. Our clients receive great quality moving services, reasonably low rates, safe delivery and all possible guarantees for a positive result. We are pleased that we have received recognition from both individuals and companies, who used our services. We try to be equally efficient to each of our clients. Our movers in Kitchener Ontario are efficient, prompt and professional. You can take advantage of our full service package, plus a number of related basic and additional services which are listed on our website. Furniture moving is a common thing for us; we know our responsibilities and will carefully comply with the terms of the contract. Your furniture and any other property will be safely shipped and delivered. Storage and insurance are available upon client’s request. Why us? We are experienced and reliable. Thanks to that each moving is executed as quickly, conveniently and comfortably as possible; we pay attention to quality and we value each client. Secondly, our team consists exclusively of professionals. Our qualified staff will find optimal solution for any issue; will plan and complete your move in the best way. For your convenience, we can offer our own vehicle fleet of different capacity, fully adapted to move any stuff; all the necessary equipment, packaging materials, harness equipment and more. You’ll get a free estimation and planning for your upcoming move. Please take advantage of our quality control service which had been created for your convenience. Your positive experience is our priority!